thats perfect for individuals and small businesses. Since Bluesky launched it has become trusted by businesses all over the world. We help you track your time and invoice your clients so you can focus on your core business. 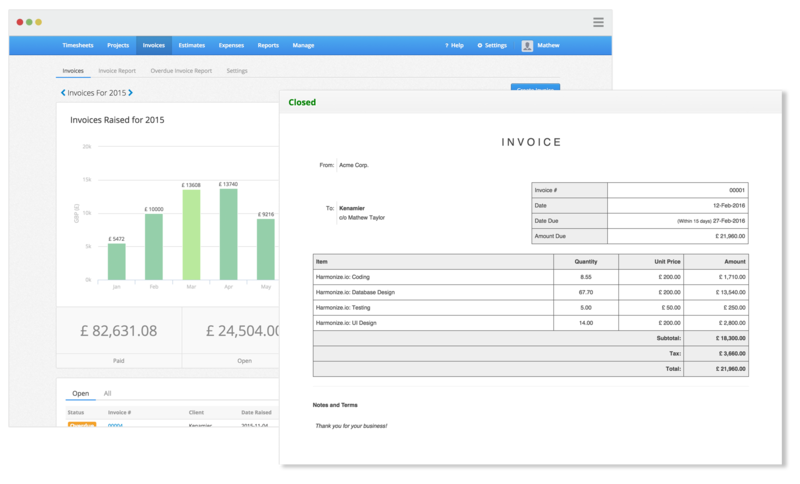 Online billing has had a make-over: we’ve done away with the pain of invoice creation, completely removing the time it takes to design a professional looking invoice. 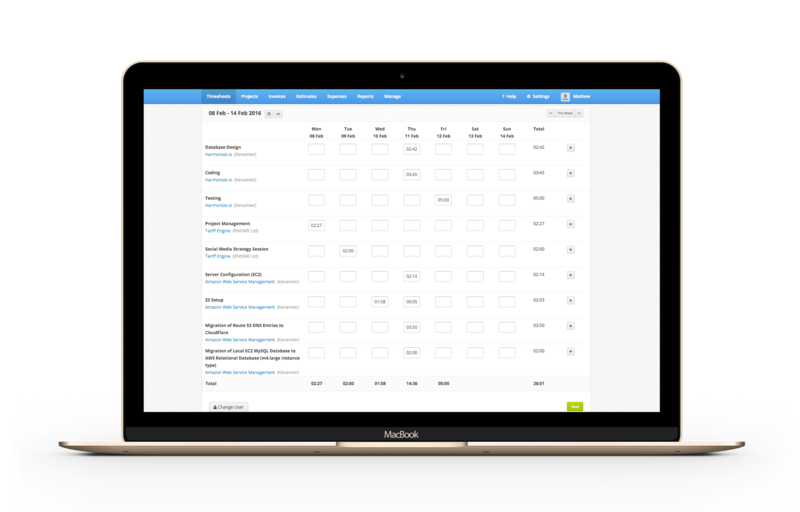 Our free online billing software seamlessly works alongside Bluesky's billable hours tracking: making for the only all-in-one solution you'll ever need to track time online and produce beautiful invoices. Track time online efficiently with Bluesky's time tracking app. 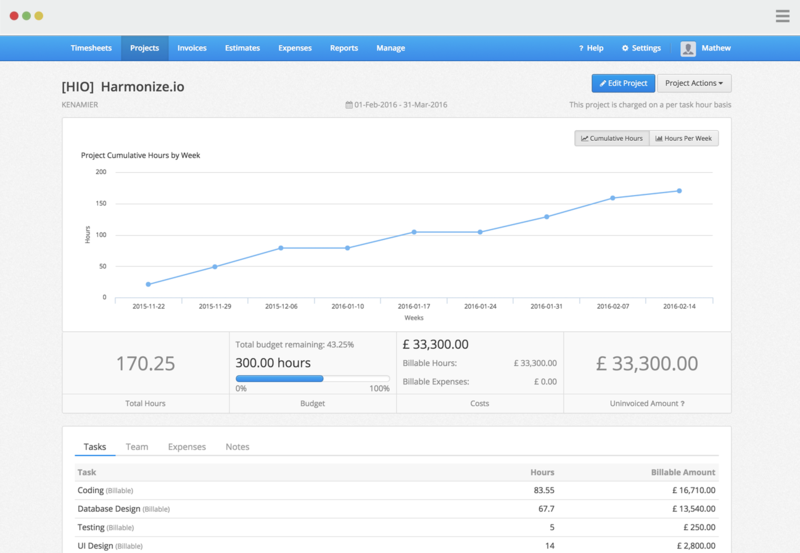 Bluesky's online timesheets are perfect for all your billable hours tracking needs. Yet it goes well beyond time tracking alone, providing you with a single place where you can get a snapshot of just how a project is progressing, no matter how complex. Create and send invoices online, then accept payments online with Stripe credit card integration. See exactly where your time is being spent and your money is coming from with our powerful reports. Use Bluesky to track your whole team. Assign them to individual projects and tasks, verify their time and bill your clients in just a few clicks. We pride ourselves on providing amazing support. Reach out to us and we’ll get you answers fast. After just a few weeks, I'm wondering how I got along without Bluesky's time tracking tool! Invoices are amazingly simple to generate, and they look very professional. Using Bluesky's online invoicing I have not only saved on time but also money. It's easy to use and highly recommended. I’ve been using Bluesky to keep track of the hours I spend on my projects for two years now. It’s so easy to create projects, add tasks and start tracking my time. Aside from the application itself, the support offered from the Bluesky team is excellent.